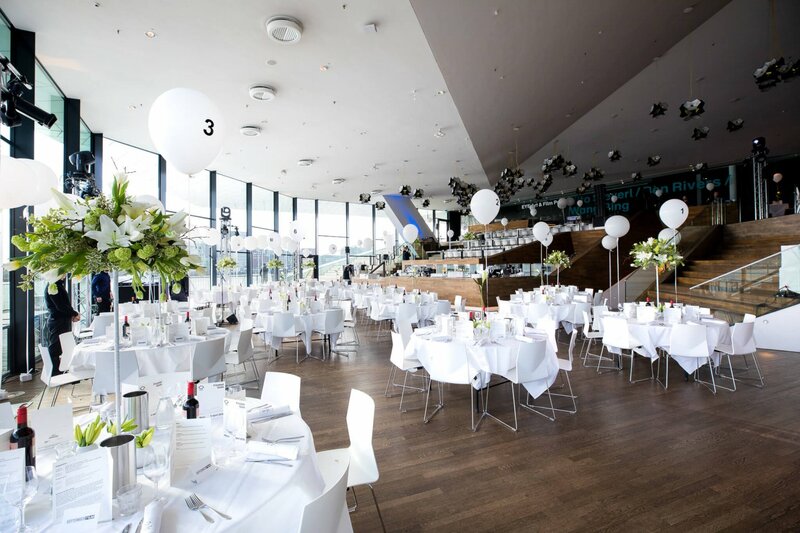 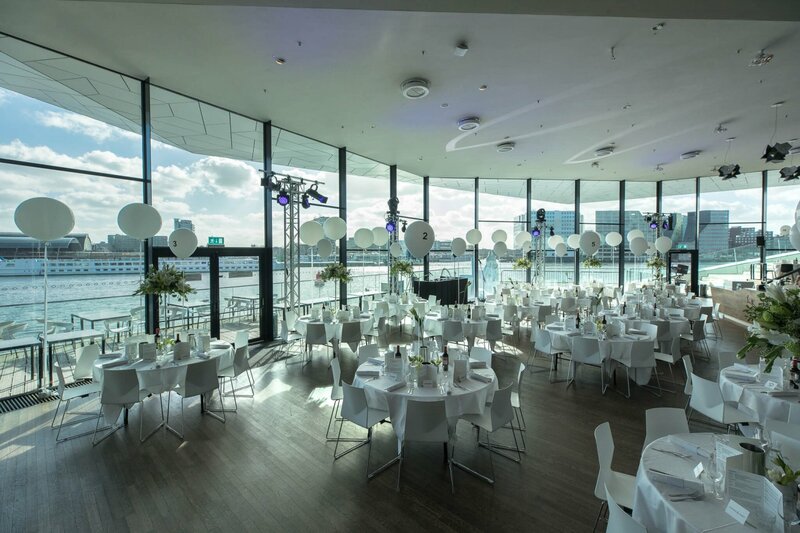 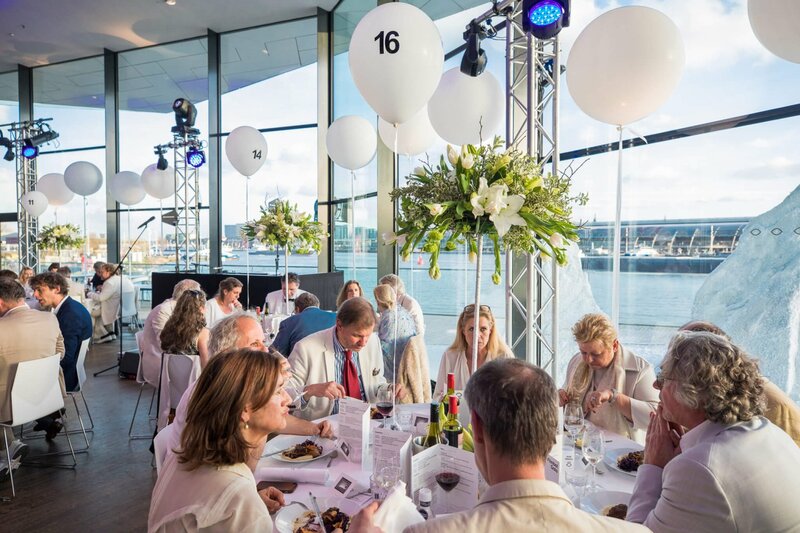 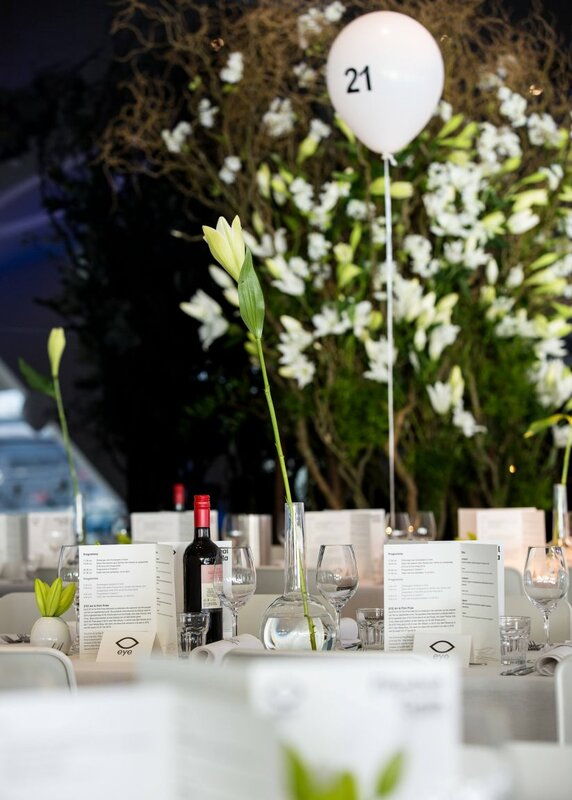 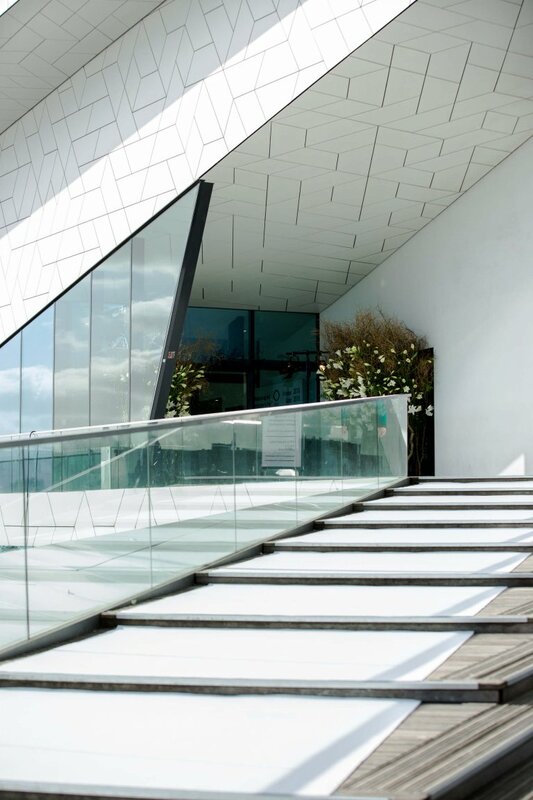 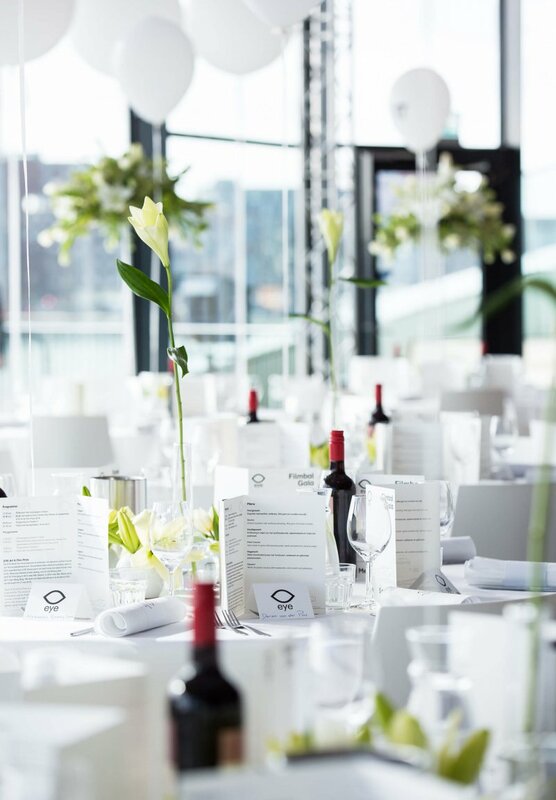 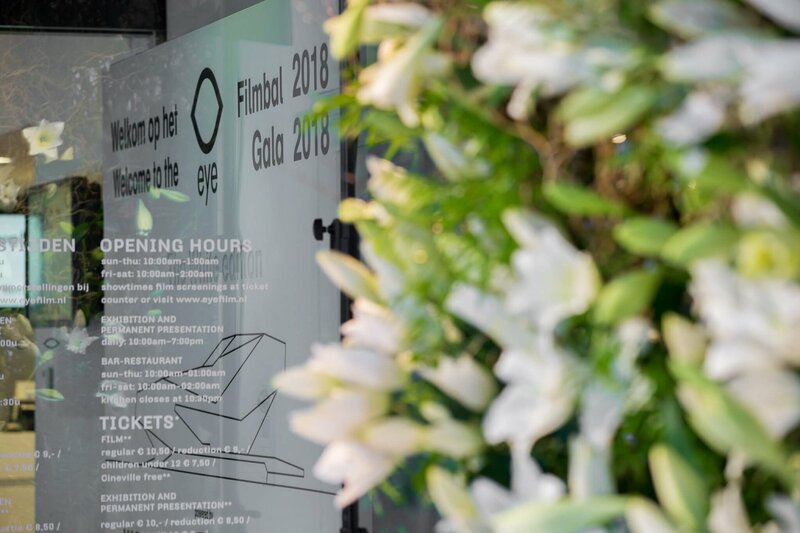 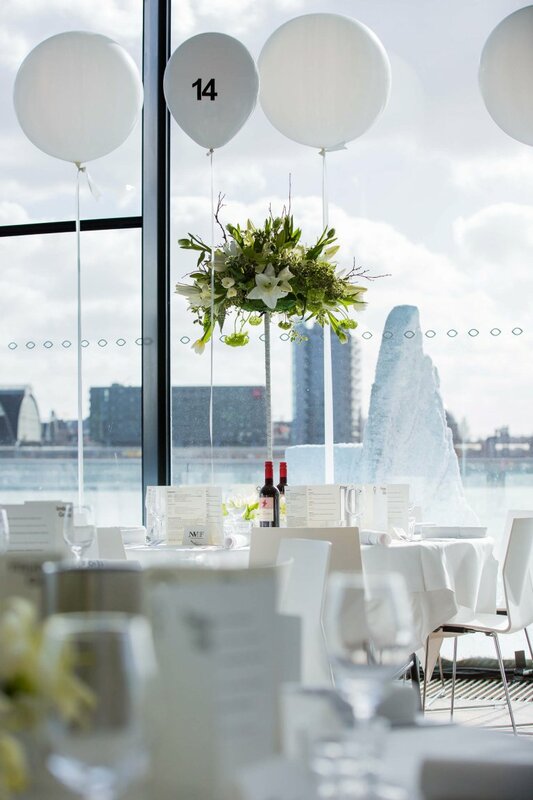 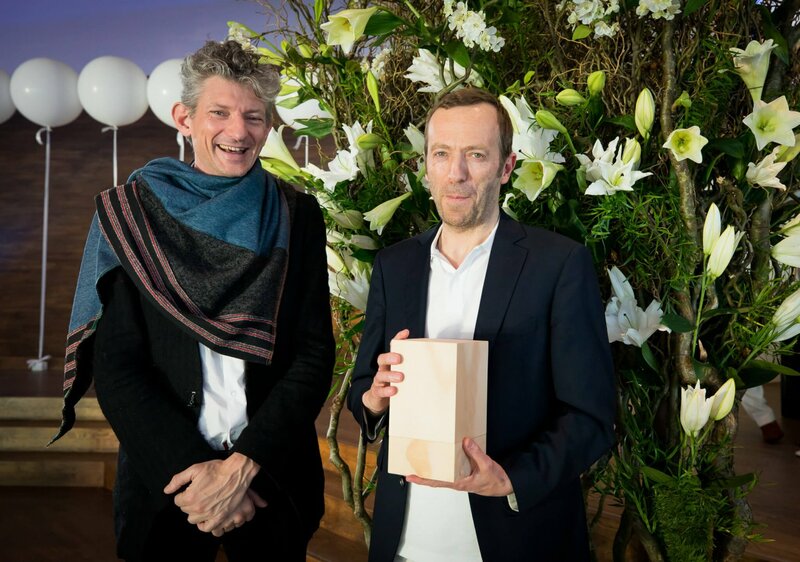 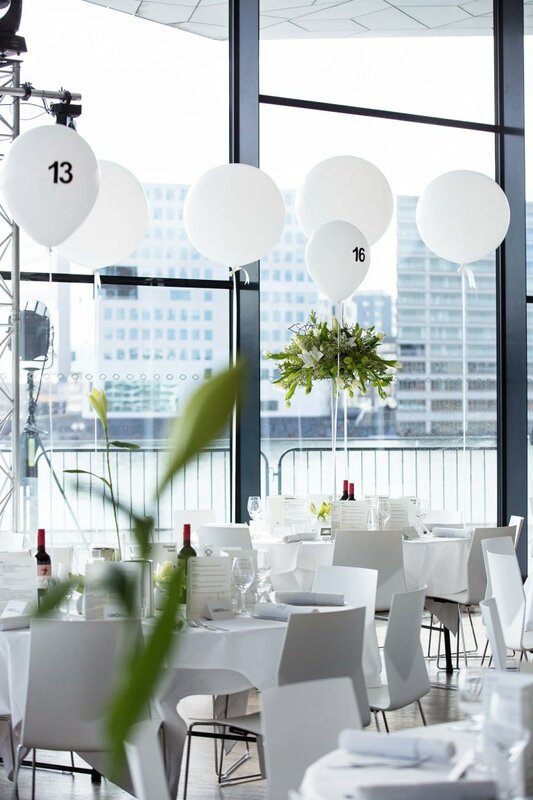 ‘On Thursday 5th of April 2018 the EYE Film museum was turned into a festive location for the annual Filmgala (Filmbal), this year “The White Edition”. 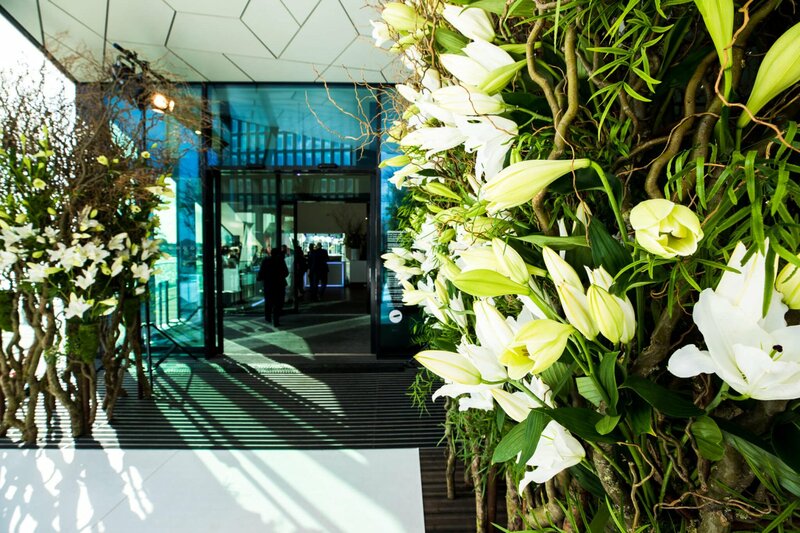 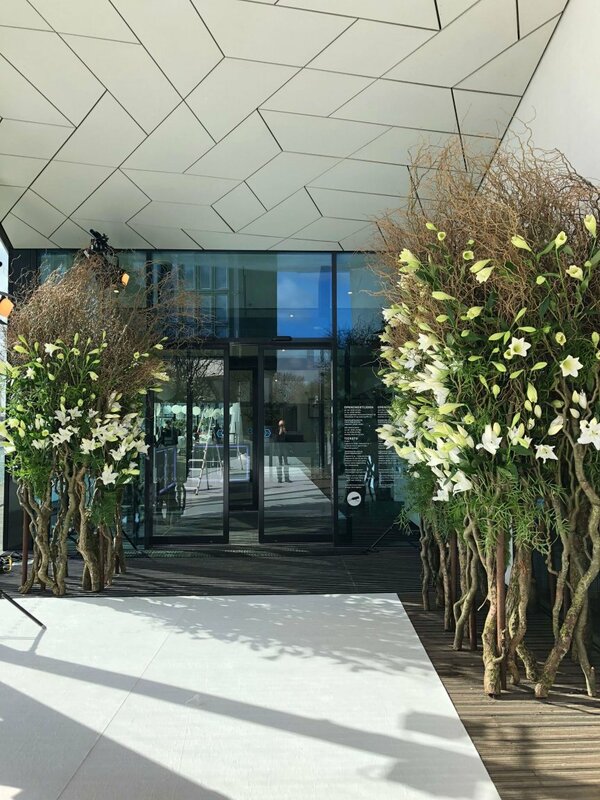 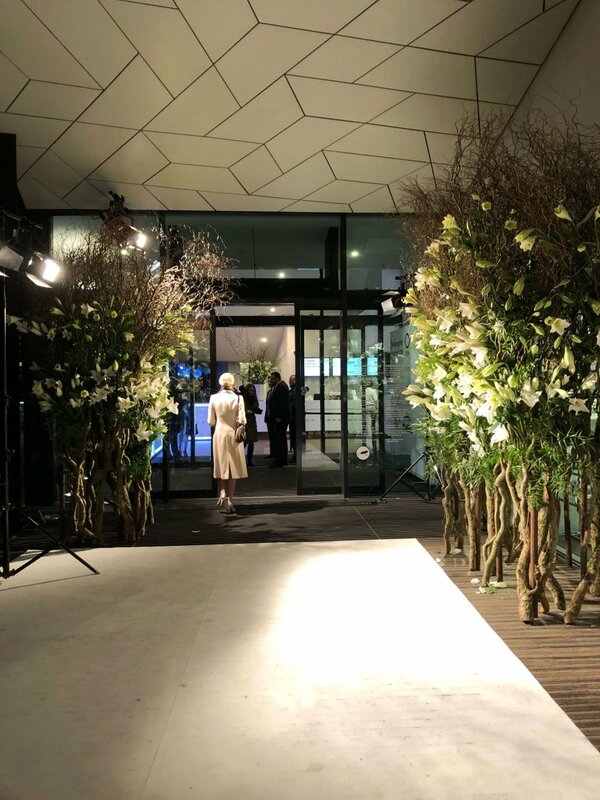 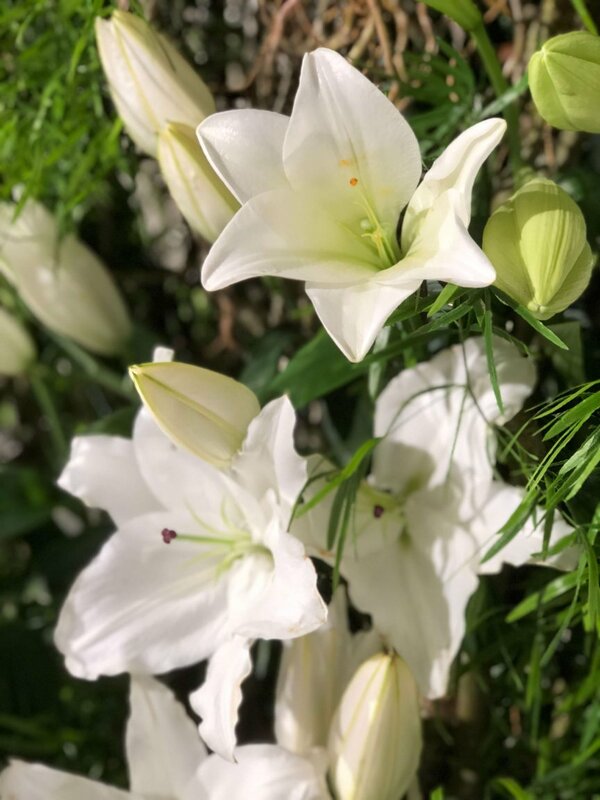 The Wunderkammer created a white carpet entrance with branches in combination with the finest white lillies from Yourlily. 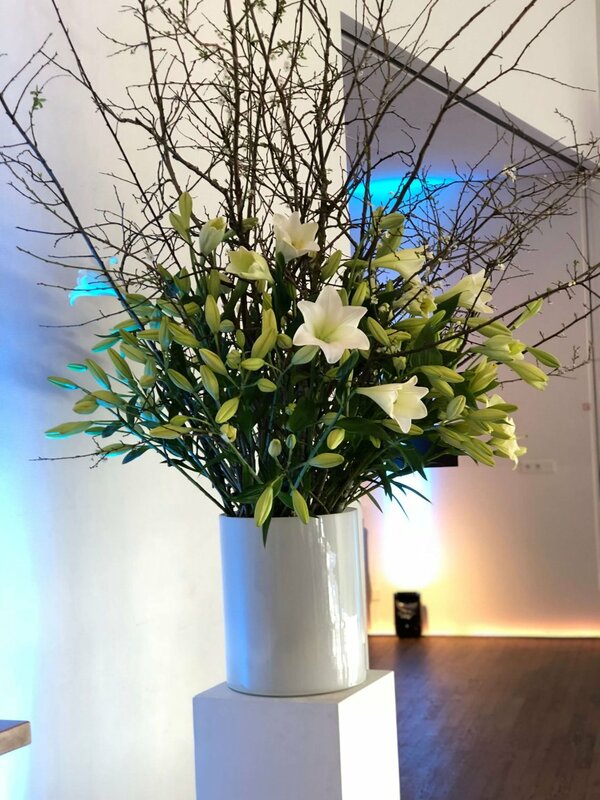 Guests were greated and welcomed by their beauty and rich scent. 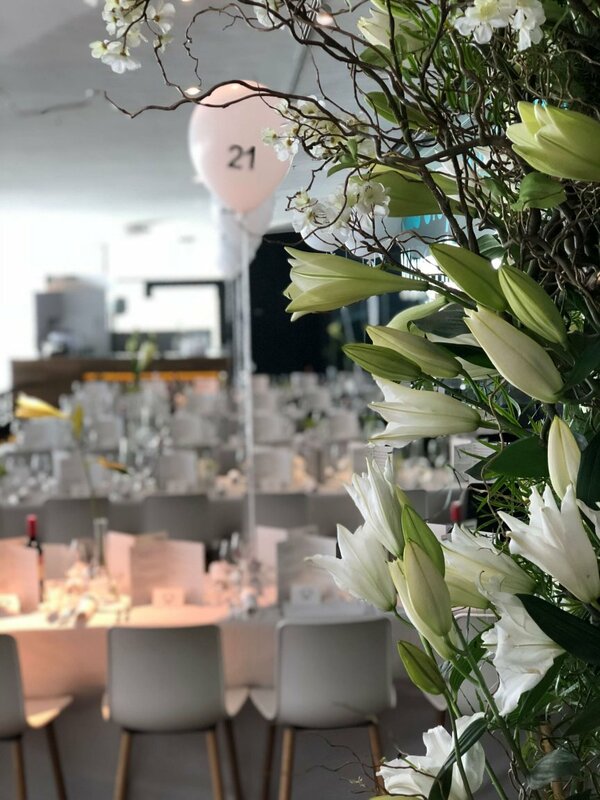 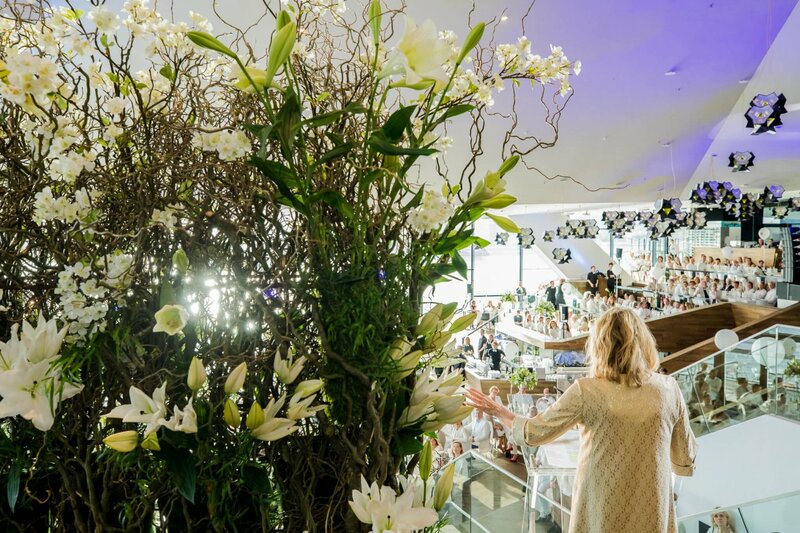 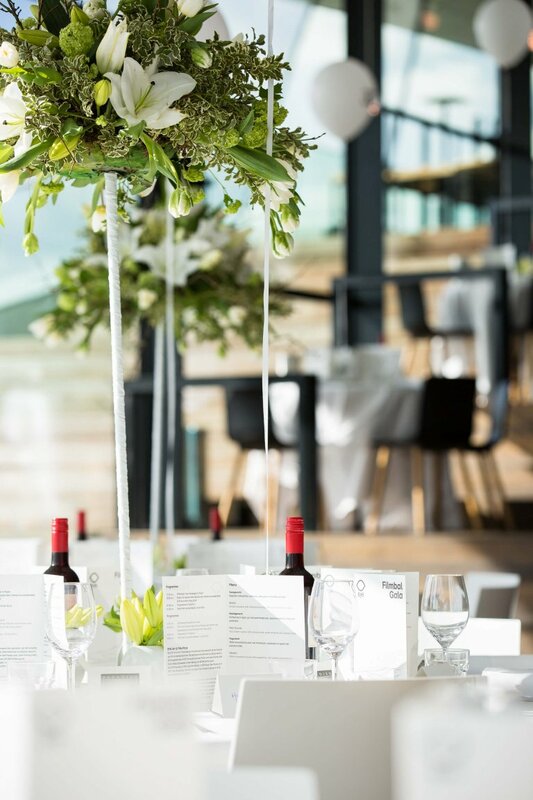 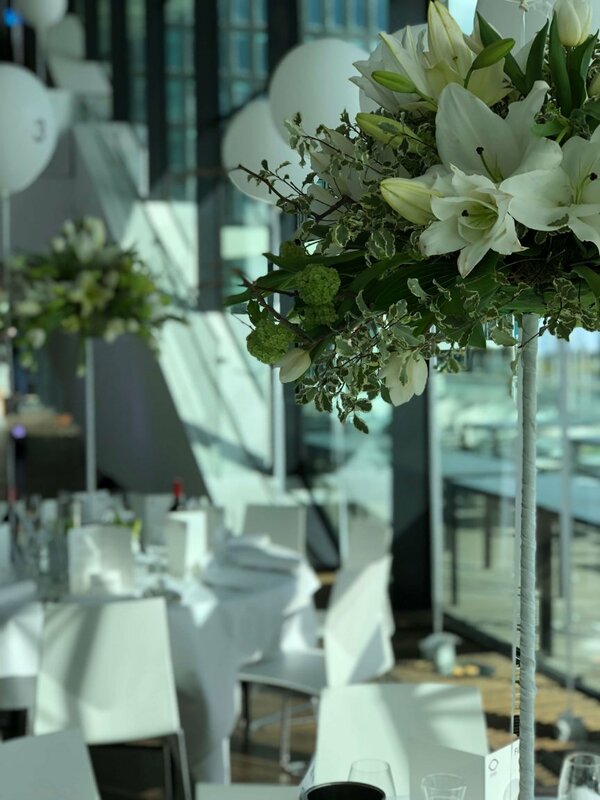 Inside, tables for the Galadiner were adorned with high rise bouquets featuring tulips, lilies and Mediterranean greenery. 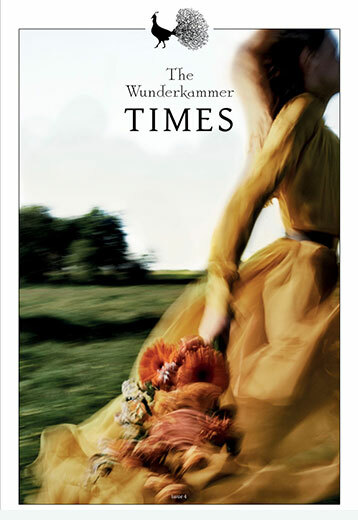 Images by The Wunderkammer and Floris Heuer.